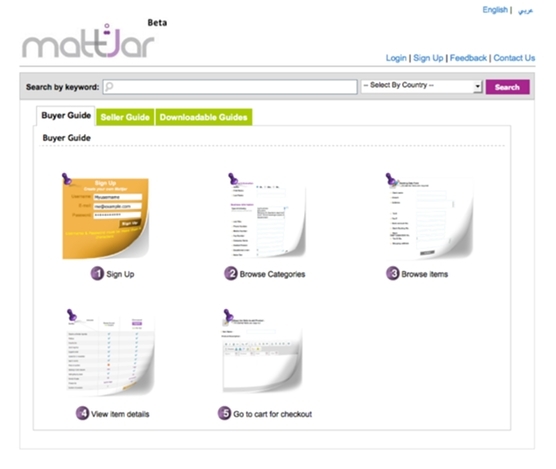 Another new startup from Jordan has recently launched in beta Mattjar.com, (which means store in Arabic) is an online marketplace for the region with full supply chain services from secure payments to fast delivery and aims to provide suppliers and buyers the opportunity to commence trading operations. It is currently available in Arabic and English. It also has easy steps for signing up for buyers and/or sellers which you can view here. Buyers accounts are free of charge and can registered directly, seller accounts need to be purchased and approved by the site administrators.